A 2011 BFA graduate from NYU's Tisch School of the Arts, Mara has performed at hundreds of events across the US and China. 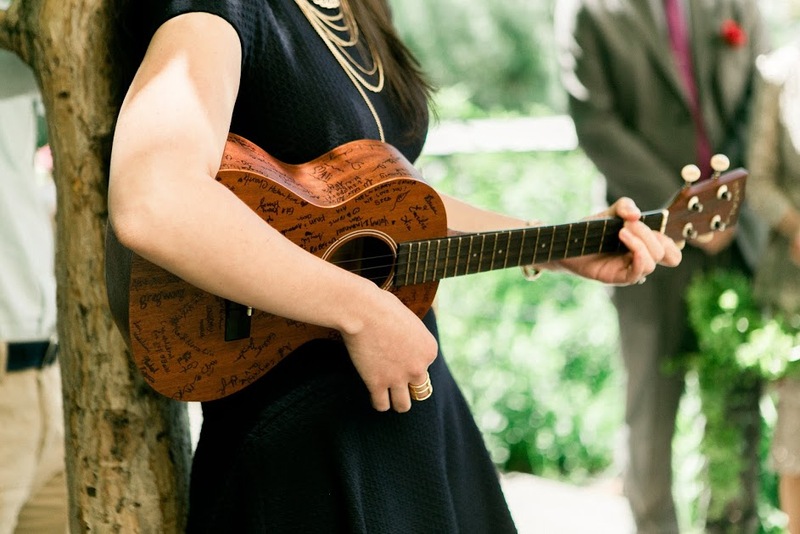 With her guitar or ukulele (or both), Mara adds a soft romance to your special day. Common requests include "I wanna Hold Your Hand" and "Can't Help Falling In Love." If you have a special song in mind that you'd like Mara to perform, just mention that in your request and she will do her best to make it happen! Mara also writes original songs for couples based on their love story. Given three months of lead time, she will craft and record a unique song to capture you and your beloved's story.